Within the walls of Warehouse 13 live the strangest and most dangerous artifacts quietly filed away from history. 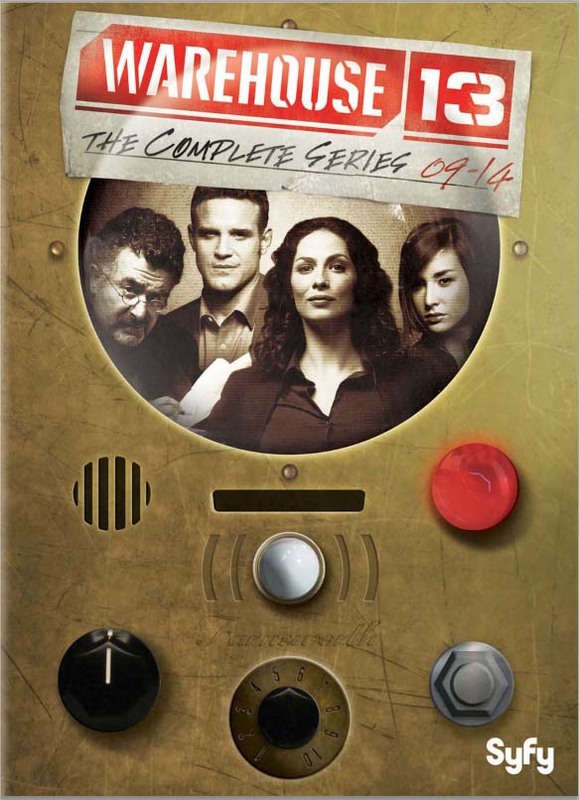 Within Warehouse 13: The Complete Series live the 63 adventures that defined "Endless Wonder" for Pete Lattimer (Eddie McClintock), Myka Bering (Joanne Kelly), Claudia Donovan (Allison Scagliotti), Steve Jinks (Aaron Ashmore), and Artie Nielson (Saul Rubinek). It was these artifact pings that catapulted the team into nonstop missions filled with harmful historical heirlooms, vindictive villains, and extraordinary exploits, all while keeping audiences on the edge of their seats, captivated by the series' unique blend of comedy, drama, and science fiction. Now, these adventures can live on the viewers' shelves forever, as the wonder contained within Warehouse 13: The Complete Series is endless.